Spiders get inside the house in many ways. One way is through an unknown openings in the structure, welcoming spiders in. Any small holes in doors, windows, foundations give spiders a place to enter, find shelter and nest, especially when the weather starts cooling off. Are you noticing spiders skittering across your ceiling, sliding down your walls, running cross your floors, and nesting in the cracks and crevices throughout your home. Rest assured, you are not alone. If you are wondering, “Why am I seeing so many spiders in my house?” Continue reading to learn all about the arachnid-based infestation that is plaguing you! If you are like most, seeing a spider is difficult. This is especially true when the seemingly-pesky eight-legged arthropods find their way into your home. 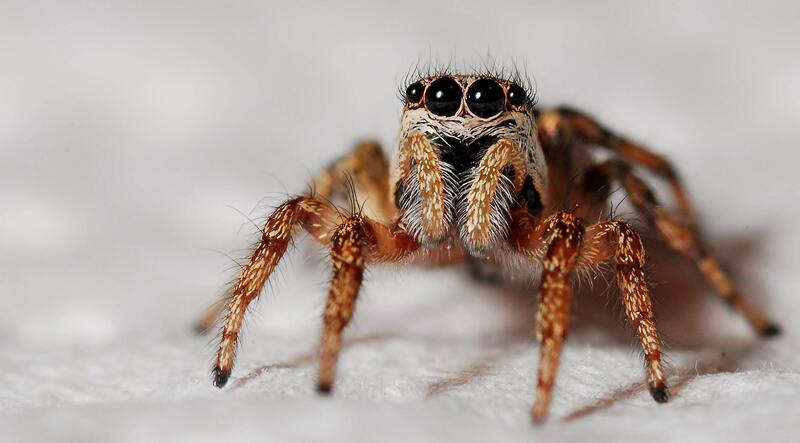 According to the American Psychiatric Association, approximately 40% of all phobias experienced are those that are related to pests, such as spiders. There are multiple theories behind why we have a fear and/or intense dislike towards spiders. It could be that we have been conditioned to fear the arachnids, we have had a bad personal experience, or we simply misunderstand spiders. Additionally, it could be their apparent vicious appearance, the irregular movement patterns, or the fact that there are many species of spiders that have the ability to make us sick and others that are potentially deadly. Regardless, once a spider enters a home, it is on! How Do Spiders Get Inside My House? If you have noticed unwelcomed spiders within your home, it is quite likely that you have an inconspicuous area within the structure where they are entering. It could be that you or items that you are carrying into your home are unknowingly carrying in the spiders. Spiders could be entering into your home in order to escape cooler temperatures, engage in mating and nesting activities, or to pursue food sources – yes, that means other pests! Perhaps the external environment is too dry and your home contains a lot of moisture, or, maybe – just maybe – that loving pet of yours got too close to a nest or carried in a spider. You may never discover HOW the spider or spiders got into your house, but these are the main causes of spiders in the house. Climate – Many spiders are attracted to the fact that the inside of your home is climate-controlled. That is, it is either cooler or warmer than the outside temperatures. If you live in a warm area that is considerably dry, spiders will opt for the indoors because it is cooler and contains higher levels of moisture. If you live in a cold environment, spiders may opt to go indoors due to the higher level of warmth. While it is true that spiders do not freeze because of having a type of antifreeze substance in their body, they are like any other animal – they prefer to be warm to cold. The next reason that spiders are attracted to the inside of your home may be because of an available food source. This means other pests, such as insects and ants. You may not actually see these other insects, but, if a spider is around, they are likely there – be it in your pantry, in your walls, in your foundation, or in your attic. If other pests are inside of your home, it is because THEY have also discovered a food or water source. This could be open containers of food, cardboard, water, and a multitude of other products. In some instances, an attraction that a spider has may be something that was carried into your home. Maybe you brought fruit or vegetables home that contained an insect or a spider. Maybe you brought in some things from storage. Perhaps your pet brought an egg or spider in the house or you picked up a spider from outdoors and brought it in. The attraction would have been the culprit brought into the home. The spider – who would have otherwise desired any other location to your home – now is placed in your home and has not yet discovered an escape route. What attracts those spiders? Climate, food sources, and water sources. If you want to get rid of all those spiders that you are seeing in and around your home, you have to THINK like a spider and make your home as unappealing as possible! Where Are they Coming From!? You should make certain that natural debris accumulated close to your home is eliminated. This includes rocks, piles of wood, branches and limbs, leaves, old boards, dirt piles, and other types of spider shelters and hiding areas. You should evaluate the foundation of your home for cracks, crevices, and holes. If any are discovered they should be caulked. If they are very large, they should be repaired. It is important to analyze the areas around your windows and doors. These should have no cracks, crevices, or be open without the proper seals and screens. Repair, seal, and strip as necessary. The crawl spaces of your home should be kept empty and pest control measures should be taken to ensure that spiders and other pests are not attracted to this area. Attics, basements, and other storage areas – such as sheds and barns – should be kept free of debris and have pest control measures in place. Do you see a common denominator among all of the previously outlined prevention measures? Of course, you do! It is pest control! If you are seeing spiders, other pests are near. Why go through the hassle of trying various over-the-counter pesticides when you can get professional service from a certified technician? 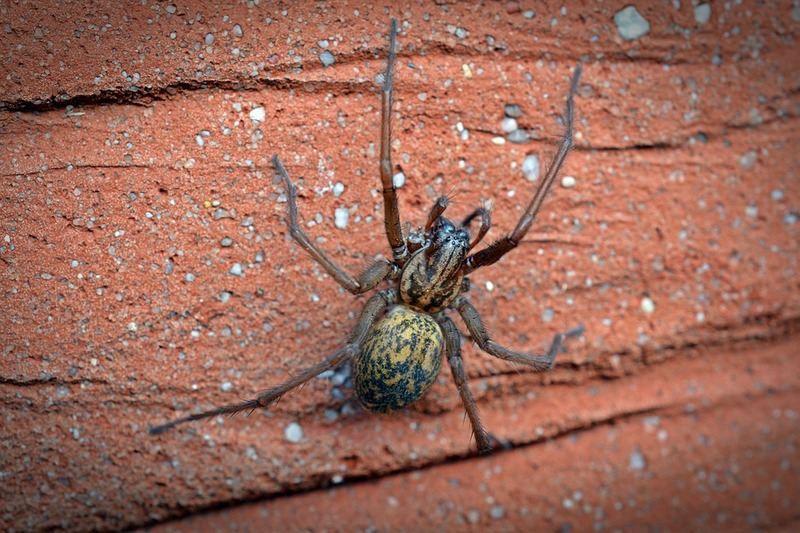 If you live in the Richmond, Indiana area, contact us and let us help you get rid of all those scary spiders today!